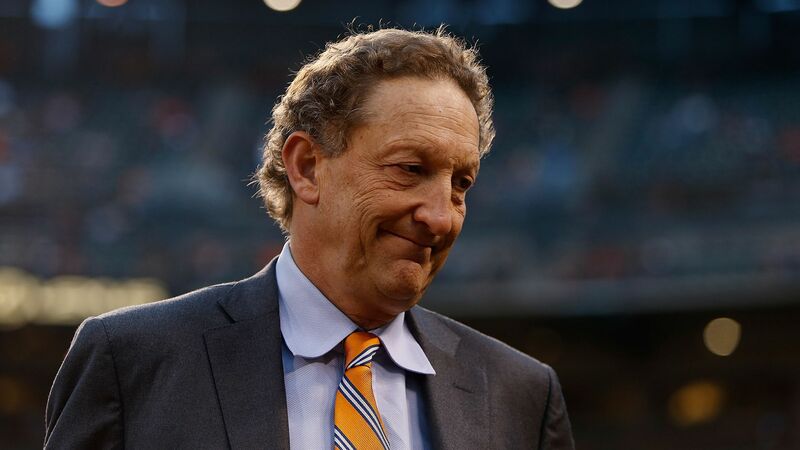 MLB Commissioner Rob Manfred announced San Francisco Giants CEO Larry Baer has been suspended without pay until July 1 following an incident caught on video in which Baer appeared to drag his wife to the ground during an argument. "Based on my review of the results of the investigation, I have concluded that Mr. Baer's conduct was unacceptable under MLB policies and warrants discipline. In determining the appropriate level of discipline, I find that Mr. Baer should be held to a higher standard because as a leader he is expected to be a role model for others in his organization and community. " Details: As part of his suspension, Baer is banned from having any involvement with the operation of the Giants. Manfred is also requiring him to seek out "an appropriate treatment and counseling plan" if a third party finds it necessary.